I remember the day King was shot, the shot that echoed a crossed the nation that early Spring day,1968. Those were tumultuous times, we lost a great President in my opinion years earlier, JFK. I’m not a racist nor do I label blacks one way or another as a whole. My buddy back in the day, Marty, who had my back in the jungle 24/7. He was black from Georgia. I don’t judge skin nor gender. Milk attempted to teach us that, I got it. However for all intense and purposes, I will label black people, and show my disdain for their unreasonable thinking, to make my point in this blog. In addition, the phrase “black people” is not meant for all black people. These are my opinions alone. My purpose for this blog this day, is to point out the hypocrisies and the racism that comes from the black community. White people for most of my life have been kissing their behinds, and I say enough is enough. 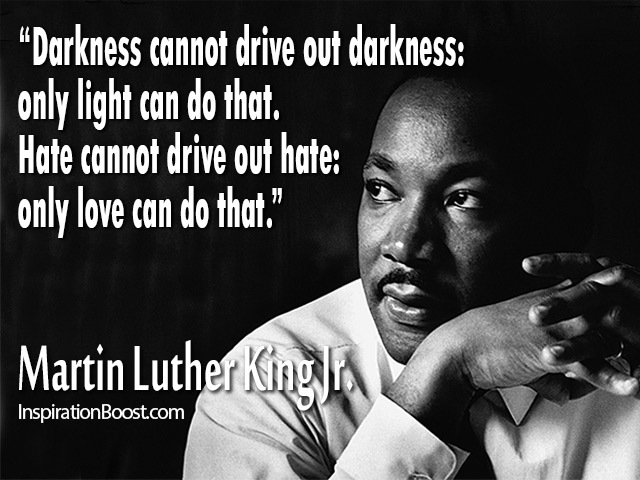 Martin Luther King’s vision was for all of us to live in peace, together. In my circles of friends you will find no racists. Is there prejudice yes, but no racism. Their is a vast difference between the two. Speaking of prejudice, there will always be prejudice, Martin Luther King knew that it wasn’t going to be perfect. Define prejudice, “any preconceived opinion or feeling, either favorable or unfavorable.” Of course there is more to the definition of prejudice, but my point is well made by the partial definition above. It’s an opinion, favorable or unfavorable. And there is no specificity of what we are gossiping about in that definition. Anything happens all the time, by and large, we are creatures of habits, and prejudice is part of who we are. I don’t like 20 below winter weather, I don’t like the jerk who served me @ the restaurant, on and on and on. In my country I have the first amendment, the second amendment, inalienable rights. I don’t have to like Chinese people, I don’t have to like Filipino people, etc. In my humble view, the black movement, post Kings untimely death, has been nothing more than black soap salesmen, the likes of the decadent Jesse Jackson and Al Sharpton lining their pockets with silver and gold. Even Oprah, in my opinion panders to white people, while her silence on these issues are defining. And the uneducated black people, who are very emotional people, are their sheep. Again, let me emphasize I don’t include all black people, one of my favorite people Allen West, a national hero, J.C.Watts one of the kindest people in America. King was a good man, and served a purpose as all great people do. But should we have a special national holiday for a minister, or community organizer, who only helped a minority group, by that I mean, did Martin Luther King help America as a whole? Bobby Kennedy, JFK, both assassinated in that error, do we have a special days set aside for them? JFK was President of the free world, a WWII Vet, Stopped Russia from blowing up America, his life was sacrificed for all America. Abraham Lincoln, assassinated for initially freeing the blacks from all slavery. Where is his special day? When I was a kid, George Washington the Father of our great nation, inevitably installing America on the map, and Abraham Lincoln who saved the Union from perishing, both had separate national holidays for their birthday, and not for their great unbridled sacrifices. Then some bright dim wit politicians decided to couple their birthdays on the same day, and call it Presidents day, where there is no special significant recognition or celebration of their very significant heroism for this country. Clearly a double standard lies in our mitts. Walk me through this! By and large, this silly nonsense of catering to the blacks, civil rights, special rights has done nothing but hinder a nation from moving forward. This special treatment helps no one, black or white. Clarence Thomas didn’t make it to the supreme court, nor did Amelia Earhart achieve Monmouth Aviation History by some special program, or prejudice, it was their character, it was who they were inside. The very Civil Rights Act passed in 1964, and the rippling effects of it was prejudice. Don’t know what I mean, do your homework. There is plenty of prejudice to go around, this is not an exclusive noun for White people ONLY, we have to grow past this nonsense if we are ever going to survive as a free nation. Clearly, since O became President, out of the starting gate, from the beer summit to the demonstrous 2 police officers murdered in NYC, illuminates the lack of intelligence from the POTUS and his followers. “Free, Free at last.” Let’s make Milk proud. He wanted to change the judging someone by the color of their skin, and yet why do black people continue in putting themselves in that light. They demonstrate this every day. They remind everybody often they have black skin, I hear them call each other niggers frequently. Their great Grandparents would slap them upside the head if they heard them say that, furthermore I can hear them say, you have no right to say that word, followed by washing their mouths out with soap, and I would agree with them wholeheartedly. What would have the Roman’s done? Or the Egyptian’s, Great Britain, or any great Empire for that matter? We all know the answer! Wake Up America. Stand Up and be heard. Time to lift the carpet, and sweep out the BS. Martin Luther King, Jr. Day – Wikipedia, the free encyclopedia.